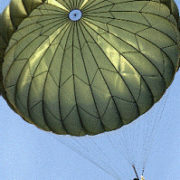 Mills Manufacturing has been a leading parachute supplier for the United States Armed Forces since World War II. We have a great sense of pride for what we do and who we serve. In order to maintain relations with the US Department of Defense and more than 65 other nations, we apply the highest rigors of quality control necessary for military equipment. 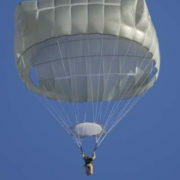 We are also approved to manufacture the MC-6 and T-11 parachutes for the US military. However, due to proprietary rights, we cannot manufacture these for other customers. Component parts for all airborne troop assemblies can be supplied separately. Please contact us to request the parts number list. We’re the oldest American-owned airborne parachute manufacturer held by the same family since our founding, and we believe it’s because we’ve remained a small institution capable of great flexibility and agility for our customers while never compromising on quality. All of our products are made in our Asheville, NC, facilities. 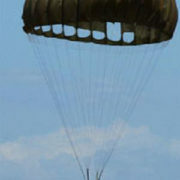 Mills Manufacturing is committed to leading worldwide standards in parachute manufacturing, from equipment for personnel in the parachute regiment, such as the airborne troop parachute, to support parachutes for items like cargo, flares, and drones. As a registered ISO 9001 company, Mills Manufacturing adheres to a strict set of guidelines set by the preeminent international body on manufacturing standards. We focus on lean manufacturing and quality assurance at the highest international standards. We make every troop parachute we export at the exact same level of quality and consistency as our government contracted items. Read our commitment in our Quality Policy. 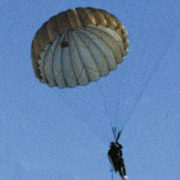 Mills Manufacturing knows that when it comes to producing equipment for an airborne military, there are lives at stake. We are dedicated to getting it right every time. A third-generation, family-owned and operated manufacturer that’s been around for nearly a century, Mills Manufacturing is a leading defense contractor consistently ranked at the top by government contractor ratings agencies. 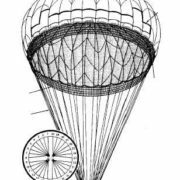 We’re also active members of the Parachute Industry Association and participate on several government committees working to improve safety in our field. With quality and delivery as our top priorities, we set the bar for the industry. We’re ready to provide your organization with what it needs, too! Get in touch with us for more information on our products.